The social media giant has grown to more than 800 million active users. Each week on Facebook more than 3.5 billion pieces of content are shared. Increasing the number of fans on your fanpage will not only encourage people to like it, it will also increase the amount of shares, resulting in even more traffic and promotion. Ready to rise to fame on Facebook? 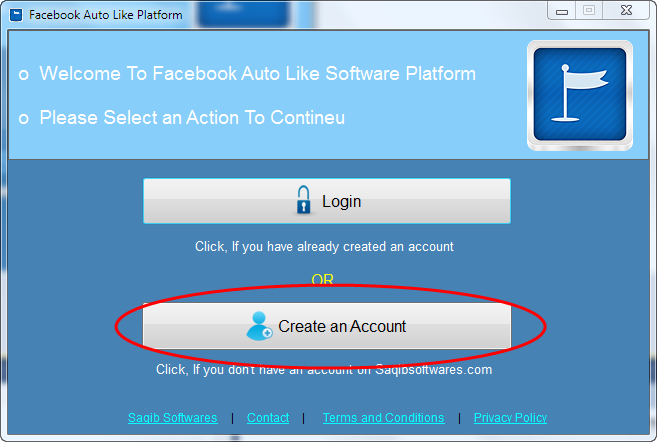 Just Download our Free software "Facebook Auto Like Platform" Now! If you want, You can receive email notifications about this software, Just click HERE. 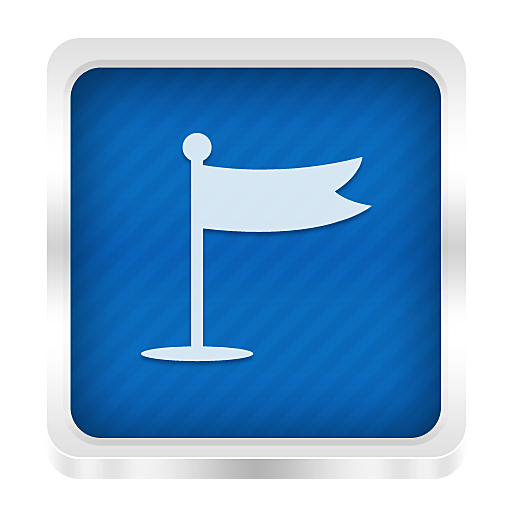 By Downloading This Software you are agree with our Terms and Privacy and Refund Policy. What Is Facebook Auto Like Platform? "Facebook Auto Like Platform" is a desktop software for windows, This software enables you to increase your Facebook page likes in very short time in maximum 10 days you can get thousands of real facebook page likes with the help of this software. This is the cheapest way to earn fortune on Facebook. How To Use Facebook Auto Like Platform Software? After installation of this software you will find a shortcut on your desktop just double click on it to start Facebook auto like platform. 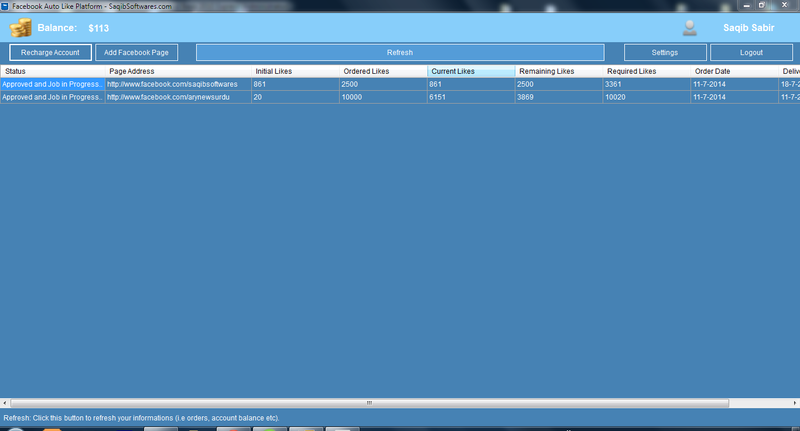 First, you need to create an account which is very easy just follow the instructions at the software. 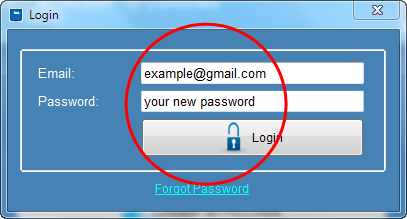 After creating a new account software will provide you the login information, Use that information to login in the software. After successfully login, you can add your Facebook page address and your Likes order information (i.e. how many likes you have required on your Facebook page etc.) into the software but first you needs to add credit in your account. Adding funds into your account is easy as 123 and very fast, We are providing our customer the scratch card numbers with different worths (i.e. $10, $25 etc.) It's means you can buy scratch card number from our online store.You just needs to payment with your desired payment solution (i.e. Paypal or Credit Card etc.) after payment you will received Scratch Card Number on your computer screen as well as in you email inbox, You just need to copy and paste the 14 numeric digits scratch card number into this software and in just a few seconds the fund will be in your account. 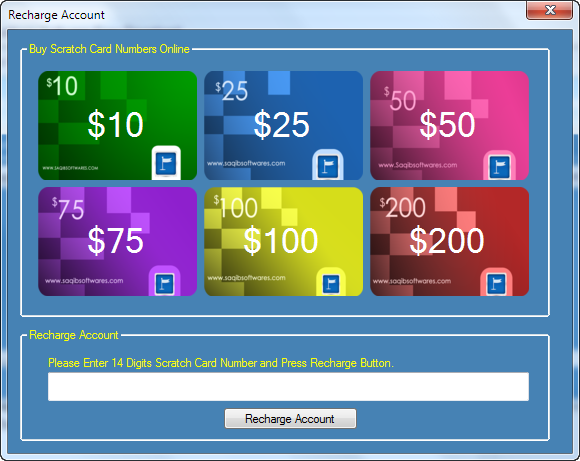 You can buy the scratch card numbers from the software as well as from this website also, Just click on one of your desired card to get the number of that card to add the worths of that card into your Facebook Auto Like Platform account. By Purchasing any of the above card, you are agree with our Terms and Privacy and Refund Policy. 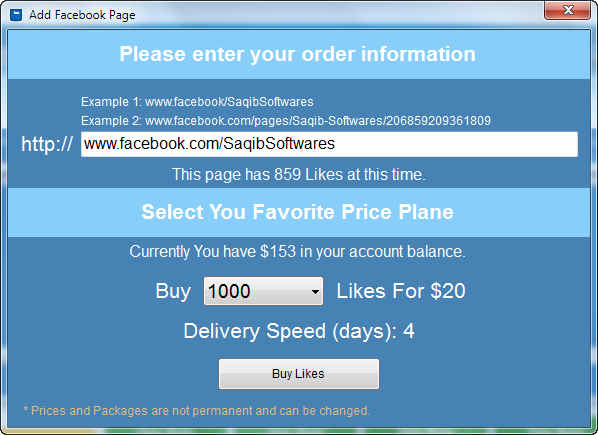 After adding funds into your account you will able to purchase your desired amount of facebook likes. Software will report you live that how many Facebook likes your page have or How many likes the software has done on your page. Everything you need to know, software will tell you live.